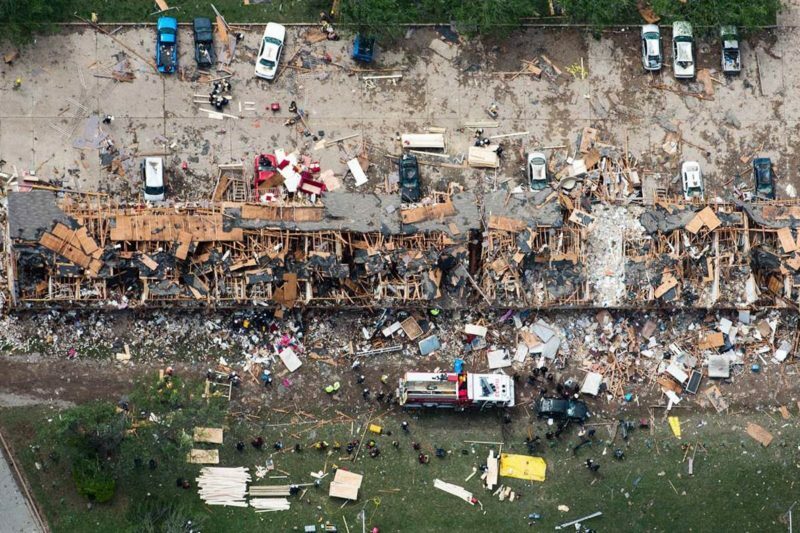 This week, the Bureau of Alcohol, Tobacco, and Firearms ruled that the 2013 West, Texas chemical and fertilizer explosion, which killed 15, was caused by an intentional criminal act. The investigators ruled that the perpetrator set off a fire in a seed bin near containers of ammonium nitrate that caused explosion of over 30 tons of ammonium nitrate, the equivalent of approximately 20,000 pounds of TNT. Chemical safety advocates, however, say the explosion could have easily been prevented if the Obama Administration had adopted the same chemical safety rules that the U.S. military has forced Afghanistan to adopt. In 2010, the Pentagon pushed the Afghanistan government to successfully halt usage of unrefined ammonium nitrate fertilizer like that used in West and replace it with de-weaponized refined ammonium nitrate. But now, three years after a 2013 explosion caused by unrefined ammonium nitrate that killed 15 people, ammonium nitrate companies like West Fertilizer Company are still at risk. Today, a group of 100 environmental and workplace safety groups, members of the Coalition to Prevent Chemical Safety Disasters, are charging in a letter to the EPA Administrator Gina McCarthy that the Obama Administration is violating the Clean Air Act. They claim that Obama is failing to fix the problems that lead to the West explosion and violating the law by failing to force all 12,000 chemical plants covered by the EPA’s Risk Management Program to be forced to adopt Inherently Safety Technology standards that force companies to switch to safer technology if it was cost effective. Many in the chemical and workplace safety community are pointing a finger at the corporate media for letting the EPA get away with failing to implement these life-saving reforms. “There’s a tendency to focus on one chemical or accident at a time and not connect the dots between policies designed to accept and manage inherent hazards versus policies designed to eliminate or reduce inherent hazards,” said Rick Hind, legislative director of Greenpeace and a veteran of decades of D.C. battles over chemical regulation. 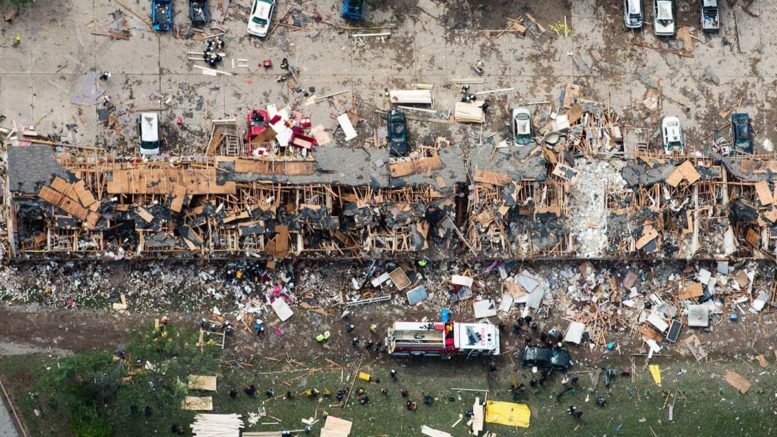 Nearly three years ago, cable news flickered with images of the bombed-out schools and apartment blocks destroyed by the West, Texas explosion. However, the dramatic images of desperate families searching for their pets were quickly replaced the following day by scenes of the manhunt for the Boston Marathon Bombers. Although Americans are 270 times more likely to die in a workplace accident than in a terrorist act, stories about West quickly vanished from the news in less than 24 hours. “Terrorists want media attention, so we give it to them. 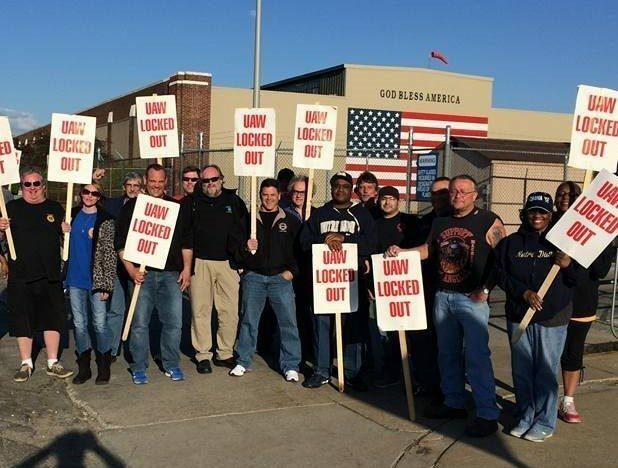 Unsafe industries don’t want media attention — so we give that to them,” outraged workplace safety reporter Ken Ward Jr. remarked at the time on Twitter. In the weeks following the explosion in 2013, President Obama issued Executive Order 13650 calling for the creation of an inter-agency Chemical Safety Task Force. The Executive Order instructed OSHA, EPA, and the Department of Homeland Security to work together to adopt new safety rules. Workplace and chemical safety advocates hoped that Obama would push for the long-delayed chemical safety regulations known as Inherently Safer Technology (IST) Standard. The standard would force companies to examine what hazards exist in their plant that could lead to fatal accidents and come up with Safer Alternative Assessments. If cost effective methods to eliminate those hazards were available, the company would be required to adopt the appropriate technology or process system plan that they saw fit to eliminate the hazards posed. However, studies show that sometimes IST can actually save companies money as it lowers insurance costs related to hazardous chemicals and sometimes eliminates unnecessary procedures. One survey conducted by the Center for American Progress found that of 226 plants that adopted IST, 34% of the plants actually saved money. Furthermore, the study showed that 87% of those plants were able to convert to IST for less than $1 million. Finally, an independent analysis conducted by Management Information Service Inc found that if chemical plants nationwide were forced to adopt IST that it would create over 8,000 new jobs. “Half the job of these groups is to keep the companies’ names out of the media and the other half is to work the inside game with agencies like the EPA and members of Congress whose campaigns they fund,” says Rick Hind, legislative director of Greenpeace and veteran of decades of chemical safety regulatory battles. Greenpeace has repeatedly raised alarms about the influence of the American Chemistry Council. Once in June of 2014, after hearing reports of chemical industry lobbyists against IST enjoying much better access to the EPA during rule making than activists, Greenpeace FOIA’d the EPA to find out what they were meeting with the chemical industry’s lobbyists to discuss. It’s been nearly two years since the FOIA was issued, but the EPA still refuses to answer their request for information about lobbyists shaping the IST rule process. The EPA did not return request for comment for this story. Activists find it ironic that Obama has not yet fully backed the IST rule since he spoke about how the failure to pass IST was a symbol of how the system was broken in his autobiography, The Audacity of Hope. Following 9/11, EPA Administrator Christine Todd Whitman attempted to use the EPA’s power under the Clean Air Act to issue a rule that would force companies to abide by the Inherently Safer Technology standard. However, the rule was later blocked by the Bush Administration and contributed to Whitman’s resignation from the Administration in 2003. Still, for nearly eight years, the Obama Administration dragged their feet and failed to issue a standard calling for IST at chemical plants. Finally, this March, the Obama Administration released an IST rule that would only force 13 percent of the 12,000 chemical facilities that are legally required to have Risk Management Programs to also be required to conduct Safer Alternative Assessments. The plan does not require companies to include the costs of catastrophic accidents in their assessments and would not make companies list their Safer Alternative Assessments in a publicly available database. Whitman was furious. On Wednesday, the former Republican Governor of New Jersey blasted the water down rule in a letter to EPA Administrator Gina McCarthy. “EPA should require that IST analyses be performed by a broader scope of high-risk facilities, such as water treatment facilities and all chlorine bleach plants, and all of these analyses should be submitted to the EPA,” continued Whitman. “In addition, these analyses should be completed much sooner than the four years called for in the proposed rule”. Now, the Coalition to Prevent Chemical Disaster is accusing the EPA of violating the Clean Air Act by not extending the rules to all 12,000 plants. Activists claim that EPA Administrator Gina McCarthy is breaking the mandate of the Clean Air Act by failing to use the rule making process “to the greatest extent practicable by failing to expand IST to the maximum number of facilities that they can cover as they should legally be required to do under the Act. “Not requiring IST implementation would thus be unlawful, arbitrary and capricious,” said the Coalition to Prevent Chemical Disasters in a letter issued to the EPA today May 13th. The Coalition charges that it’s unlawful for the EPA to fail to expand the requirement for safer alternative assessments of 10,850 EPA Risk Management Program (RPM) covered facilities, about 88% of the RPM facilities in the US. These activists hope that there might be enough time left to convince the Obama Administration to expand their IST proposal to cover all 12,000 chemical plants required to have Risk Management Programs. Regrettably, activists aren’t hopeful, as they doubt the reforms will get much media attention unless there is another chemical disaster that kills people and captures action. Many activists say that the failure of the Obama Administration to fully implement IST during his eight-year administration is also a failure of the media to report on the nitty-gritty of workplace safety and hold Obama’s EPA accountable. Dave Jamieson, a workplace safety reporter for the Huffington Post who won a Deadline Award this week for his coverage of safety conditions at Amazon, says that part of the reason workplace safety doesn’t get covered by many reporters is that too few are trained in how to cover such a complex subject. “An increase in workplace deaths is a wake-up call for all of us,” said Martinez, pointing to Bureau of Labor Statistic statistics which showed an increase in workplace deaths in 2014 to 4,679 workers. 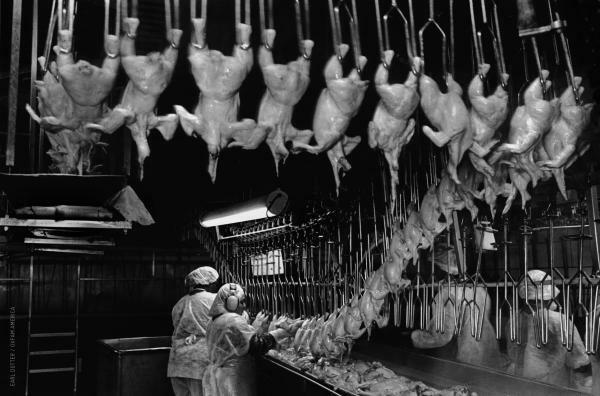 Activists say that the families of workers who die on the job can’t wait, and that the media must do something to hold government agencies accountable. Since the West, Texas explosion in 2013, federal stations show that there have been 431 incidents at chemical facilities, resulting in 82 deaths and 1,600 injuries. Be the first to comment on "Why Won’t the U.S. Adopt the Chemical Safety Rules that Obama Forced on Afghanistan?"